Lithuania’s market for vodka is the biggest market of the country, hence the enormous competition – around 30 new brands end up on the shelves every year. However, the super-premium segment of this market is relatively small, and it’s dominated by global brands. 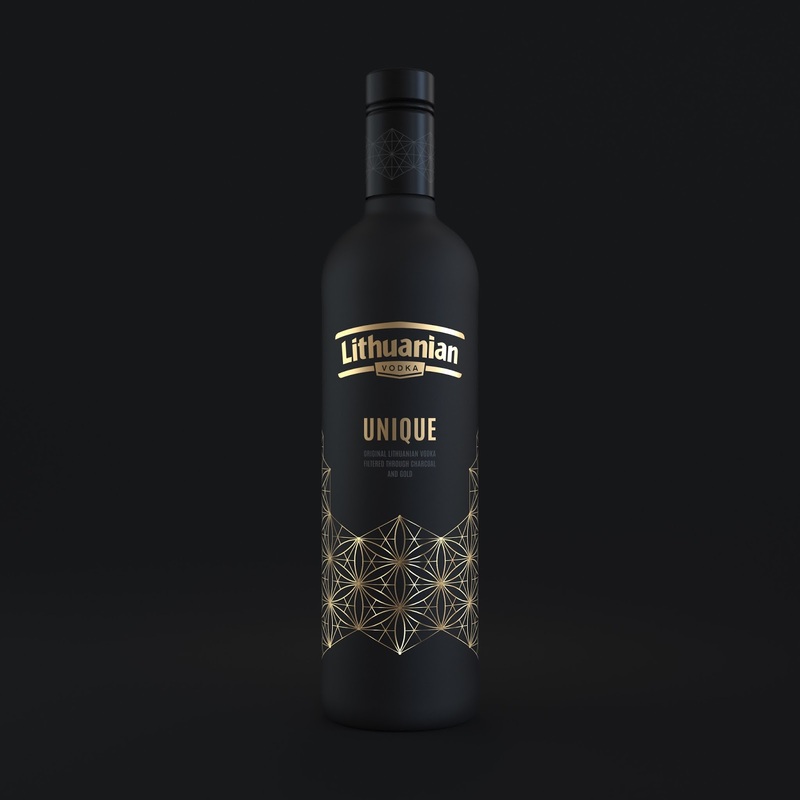 So a Lithuanian product has to boast an exceptional, unique and extra luxurious appearance in order to stand out and become the leader here. Lithuanian Vodka leads the country’s vodka category and is a player in the mentioned super-premium segment. 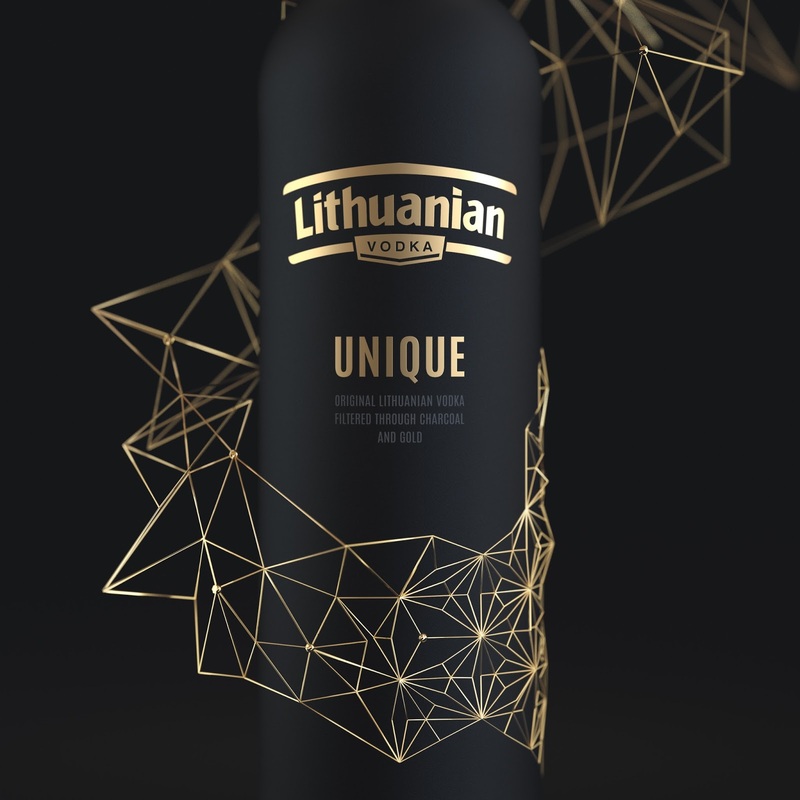 This speaks of the product’s quality and the high reputation of the brand, with modern interpretation of Lithuanian history being established over time as a distinctive design feature. Every time to surprise the target is getting harder. Challenge accepted. 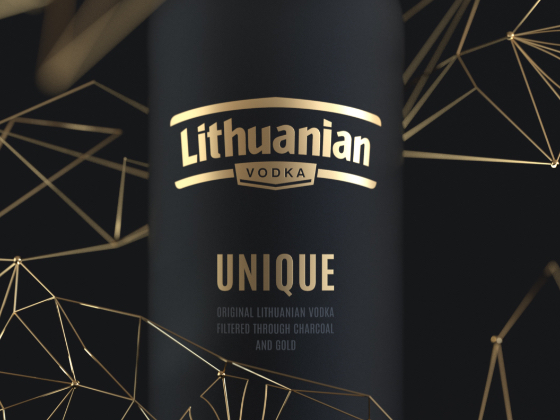 This year we’ve introduced Lithuanian Vodka Unique. Continuing the tradition has led us to being inspired by the country’s cultural heritage and history. This time our attention was caught by distaffs (wooden tools for spinning) decorated with geometrical ornaments and segmented stars. People used to believe in the magical power of spindles, trying to reflect their world outlook and their vision of the universe in the carvings on these tools. 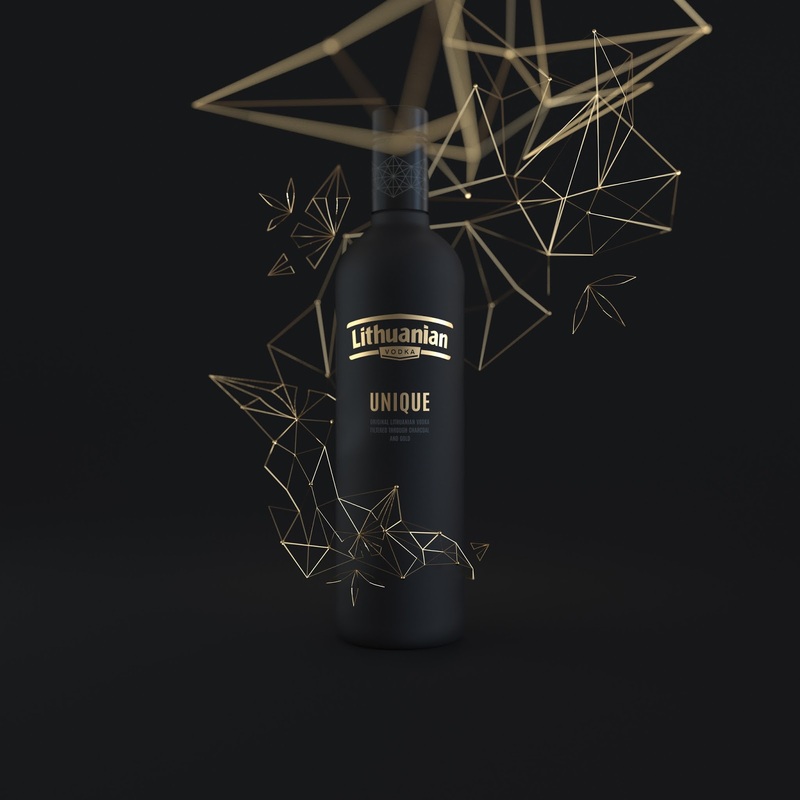 A matted black bottle, a logo printed with matte gold foil, an attention-getting ornament of two visibility levels that’s covered in shiny gold foil – all these elements became part of the exceptional design solution. Lithuanian consumers recognise the right combination of black and gold as a sign of luxury. The biggest technological challenge was printing the created pattern without a beginning or an end – the ornament stretches around the whole bottle without breaks. The biggest technological challenge was printing the created pattern without a beginning or an end – the ornament stretches around the whole bottle without breaks.